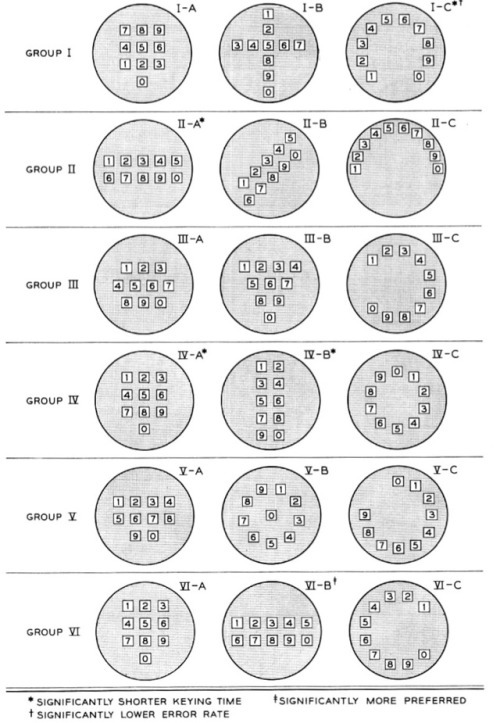 In 1960, scientists at Bell Labs were developing button-based telephones which would ultimately replace rotary dialing. They tested hundreds of key layouts before settling on the one still largely in use today. This entry was posted in Front Page and tagged bell labs, Posthorn, Repost, science, tech, telephone, Tumblr, user interface on 30/08/2013 by John.